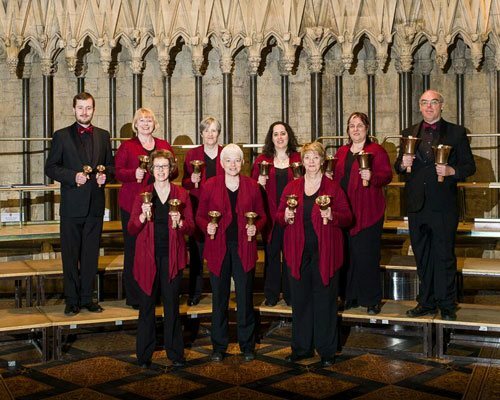 The Chapter House Choir was formed in 1965 by York Minster Songmen and their wives to raise funds for York Minster. 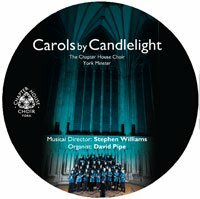 Since then, the choir has become an integral part of York’s musical culture, especially through our annual sell-out Carols by Candlelight concerts. Past and present members of the Chapter House Choir rehearse for the choir’s 50th anniversary concert, June 2016. The Chapter House Choir is always happy to hear from experienced choral singers. Entry to the choir is by audition with our Musical Director. 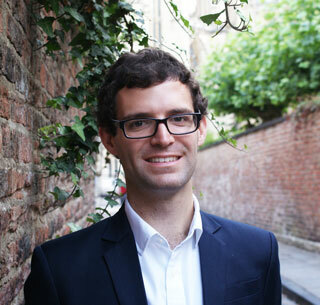 Benjamin Morris is Assistant Director of Music at York Minster, accompanying and regularly conducting the choir in the Minster’s daily cycle of music, in concerts, tours and broadcasts, and assisting in the training of the boy and girl choristers. He is a prizewinning Fellow of the Royal College of Organists and is much in demand as a recitalist and continuo player. Ben has been Musical Director of the York-based Chapter House Choir since 2017. The handbells have been part of the Chapter House Choir’s Carols by Candlelight concerts ever since the first concert in 1965. The choir now owns its own set of handbells, together with a library of especially composed music, making the handbells a very popular part of our Christmas concerts. The Chapter House Choir is a registered charity (no.511629). The generous support of our Friends and sponsors, as well as funding from charitable trusts and public bodies, is vital to our continued success. If you like what we do, there are several ways you can support the choir. Click on the button for more information about our Friends Scheme, and Advertising & Sponsorship opportunities. 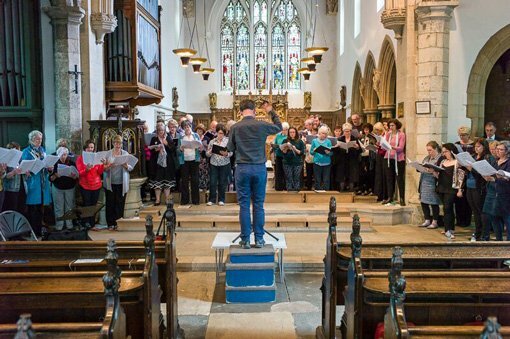 The Chapter House Choir is one of the foremost amateur chamber choirs in the country, and it is possible to hire the Choir for bespoke performances. 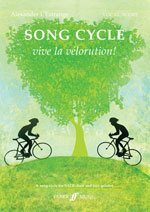 Visit our Recordings page for more details about music recorded by the Choir, recording excerpts and how to purchase CDs. The Chapter House Choir regularly commissions and premières new music, including some stunning works by Roderick Williams, Judith Bingham, Andrew Carter, Paul Mottram, Alexander L’Estrange, Gabriel Jackson and Bob Chilcott in recent years.